Australian Ladies Professional Golf (ALPG) has launched the 2010-11 ALPG Tour schedule which, for the first time in the organisation’s history, delivers five consecutive tournaments commencing mid-January, 2011. Sandwiched among six Club Car Series Pro-Am events, the five-tournament schedule is expected to attract significant interest from international players who will welcome the opportunity to leave the chill of their northern hemisphere winters and warm up in tough competition on the quality courses which the ALPG Tour schedule boasts. In announcing the new-look schedule, ALPG CEO Warren Sevil said he was delighted with the outcomes which led to an attractive calendar of events. “We always face scheduling challenges, particularly with avoiding any clash with LPGA events,” Sevil said. “For 2011 we have moved one month earlier than 2010. All has fallen into place nicely as we will have five great events leading into – rather than following or conflicting with – the commencement of the LPGA schedule. Launching the run of tournaments will be the Bing Lee/Samsung New South Wales Women’s Open which will be played for the fifth consecutive year at Oatlands Golf Club in north western Sydney from January 21-23. Sydney’s Sarah Oh will be looking for a three-peat after capturing the past two titles, both times, from recent Navistar LPGA Classic winner and 2009 ANZ Ladies Masters Champion, Katherine Hull. Play will then move to the nation’s capital for the second staging of the ActewAGL Royal Canberra Ladies Classic – January 28-30. In its inaugural year the tournament was a raging success with ACT and interstate golf fans witnessing superb scoring on the magnificent Royal Canberra layout. A quality field of Australian and international stars teed it up among the excitement of a new tournament, and the large galleries were rewarded with a thrilling climax. Western Australian rookie Kristie Smith produced a scintillating final round nine-under par 64 to claim her maiden professional title. Katherine Hull was again the unlucky runner-up, finishing two shots adrift of rising star Smith. The 2010 event will again be played during the Australia Day week with major sponsor ActewAGL incorporating the profile of the major women’s sporting event with its support of the Australia Day celebrations earlier in the week. The 2011 Handa Women’s Australian Open will follow as the first of the co-sanctioned events operated under the co-sanctioning of the ALPG Tour and Ladies European Tour. The Championship will be played for the second year running at Melbourne’s Commonwealth Golf Club. A resounding success on a course which has hosted little in the way of major golf tournaments, the new-look Commonwealth was presented in first class condition and players have welcomed the news of the return. 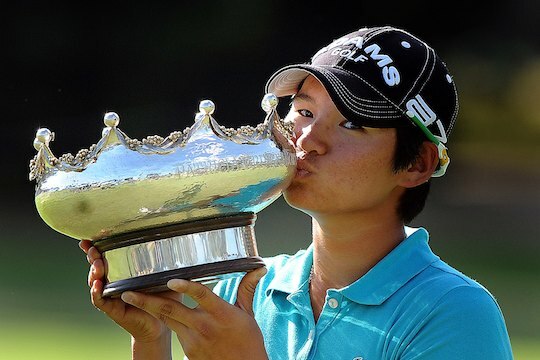 Organisers are confident world top-five player, Taiwan’s Yani Tseng will return to defend the title which kick-started a remarkable 2010 during which she captured two major titles – the Kraft Nabisco Championship and Ricoh Women’s British Open. The 22nd staging of the ANZ RACV Ladies Masters will follow with a new joint title sponsor – RACV – throwing its support at the long running prestigious event. To be played for the 20th consecutive year at the RACV Royal Pines Resort, the ANZ RACV Ladies Masters, along with the Women’s Open, are expected to attract a host of the world’s top players who will see Australia as the perfect warm up to the LPGA season which commences the following week at the LPGA Thailand event. Having attracted three reigning major champions and seven of the top 20 players from the Rolex Rankings in 2010, organisers expect to be dealing with a host of invite requests in the coming months. The second staging of the Pegasus New Zealand Women’s Open hosted by Christchurch – as a co-sanctioned fixture – will complete the five tour swing when it is played from February 17-20. The 2010 Championship was played just seven weeks following the opening of the Pegasus venue, just outside Christchurch, and was rewarded with rave reviews from players and officials. “It was as though the course had been there for years – no-one would have known the ribbon had been cut, just weeks prior to the Championship,” Sevil said. ALPG President, Sandra Mackenzie said she was proud of the schedule made possible by ongoing support of loyal stakeholders. “We have been very fortunate, in tough economic times, to retain commitment from our sponsors and partners,” Mackenzie said. The ALPG Tour has again confirmed the support of Club Car Ingersoll Rand who will for the fifth year sponsor the Club Car Series – an eight-event series which rewards the leading six players with a share of a very attractive bonus pool.